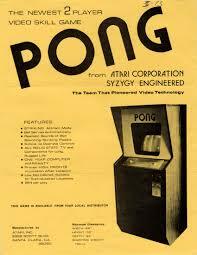 Pong, one of the earliest arcade video games, and usually credited as the first commercially successful one, was launched by Atari on this date in 1972. You have to be about my age, or just a little younger to remember the stir that Pong caused when it first came out. Now it seems so pitifully crude. But it was a huge hit with all my friends, and the fad lasted for many years, even as more sophisticated competitors hit the market. In case you are too young to remember, Pong is a two-dimensional sports game that simulates table tennis. The player controls an in-game paddle by moving it vertically across the left or right side of the screen. A player can compete against another player controlling a second paddle on the opposing side, or against the machine. Players use the paddles to hit a ball back and forth. The goal is for each player to reach eleven points before the opponent; points are earned when one fails to return the ball to the other. 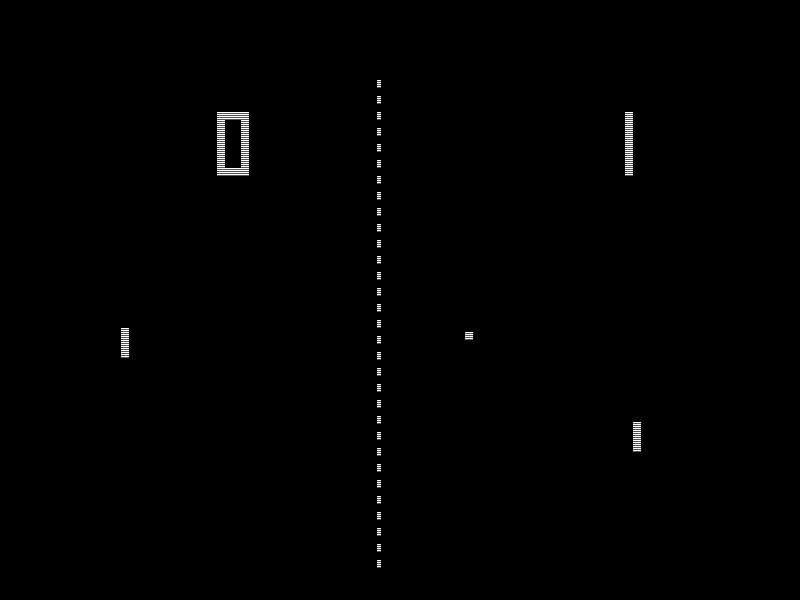 Pong was the first game developed by Atari. After producing Computer Space, Nolan Bushnell, an engineer, decided to form a company to produce more games by licensing ideas to other companies. The first contract was with Bally Manufacturing Corporation for a driving game. Soon after the founding, Bushnell hired Allan Alcorn because of his experience with electrical engineering and computer science. Bushnell and Ted Dabney, co-founders of Atari, had previously worked with him at Ampex. Prior to working at Atari, Alcorn had no experience with video games. To familiarize Alcorn with creating games, Bushnell gave him a project secretly meant to be a warm-up exercise. Bushnell told Alcorn that he had a contract with General Electric for a product, and asked Alcorn to create a simple game with one moving spot, two paddles, and digits for score keeping. In 2011, Bushnell said that the game was inspired by previous versions of electronic tennis he had played before. He had played a version on a PDP-1 computer in 1964 while attending college. 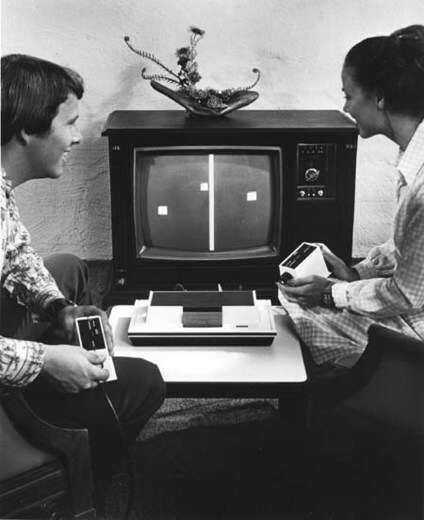 However, Alcorn has claimed it was in direct response to Bushnell’s viewing of the Magnavox Odyssey’s Tennis game. In May 1972, Bushnell had visited the Magnavox Profit Caravan in Burlingame, California where he played the Magnavox Odyssey demonstration, specifically the table tennis game. Though he thought the game lacked quality, seeing it prompted Bushnell to assign the project to Alcorn. Alcorn first examined Bushnell’s schematics for Computer Space, but found them unintelligible. He went on to create his own designs based on his knowledge of transistor–transistor logic and Bushnell’s game. Feeling the basic game was too boring, Alcorn added features to give the game more appeal. He divided the paddle into eight segments to change the ball’s angle of return. For example, the center segments return the ball at a 90° angle in relation to the paddle, while the outer segments return the ball at smaller angles. He also made the ball accelerate the longer it remained in play; missing the ball reset the speed. Another feature was that the in-game paddles were unable to reach the top of the screen. This was caused by a simple circuit that had an inherent defect. Instead of dedicating time to fixing the defect, Alcorn decided it gave the game greater difficulty and helped limit the time the game could be played; he imagined two skilled players being able to play forever otherwise. Three months into development, Bushnell told Alcorn he wanted the game to feature realistic sound effects and a roaring crowd. Dabney wanted the game to “boo” and “hiss” when a player lost a round. Alcorn had limited space available for the necessary electronics and was not aware how to create such sounds with digital circuits. After inspecting the sync generator, he discovered that it could generate different tones and used them for the game’s sound effects. To construct the prototype, Alcorn bought a $75 Hitachi black-and-white television set from a local store, put it in a wooden cabinet, and soldered the wires into boards to create the necessary circuitry. The prototype impressed Bushnell and Dabney so much that they felt it could be a profitable product and decided to test its marketability. 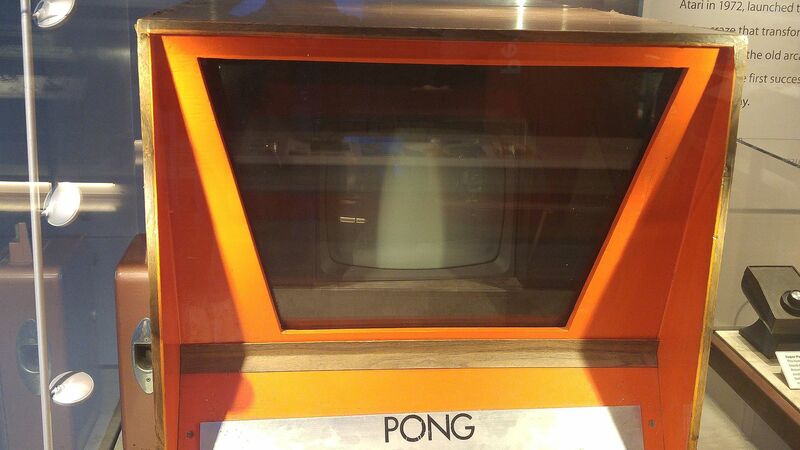 In August 1972, Bushnell and Alcorn installed the Pong prototype at a local bar, Andy Capp’s Tavern. They selected the bar because of their good working relation with the bar’s owner and manager, Bill Gaddis. Atari supplied pinball machines to Gaddis. Bushnell and Alcorn placed the prototype on one of the tables near the other entertainment machines: a jukebox, pinball machines, and Computer Space. The game was well received the first night and its popularity continued to grow over the next one and a half weeks. 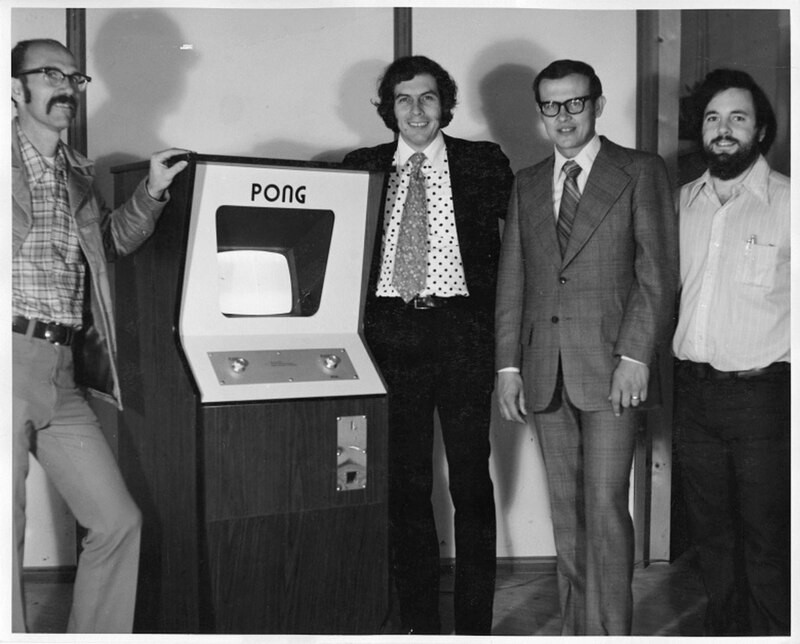 Bushnell then went on a business trip to Chicago to demonstrate Pong to executives at Bally and Midway Manufacturing. He intended to use Pong to fulfill his contract with Bally, rather than the driving game. A few days later, the prototype began exhibiting technical problems and Gaddis contacted Alcorn to fix it. Upon inspecting the machine, Alcorn discovered that the problem was that the coin mechanism was overflowing with quarters. I graduated from Pong to Tank (produced by an Atari subsidiary) in 1974, but when Space Invaders came out in 1978, all bets were off, and I played it fanatically as an arcade game until the PC revolution of the early 1980s. Even though I switched to a variety of games written for the PC, I still played Space Invaders for many years, until finally giving up on video games entirely.